Our long-standing support of Diocesan School for Girls continues in November with the much anticipated Dio House Tour for Causes on Friday 9 November 2018. 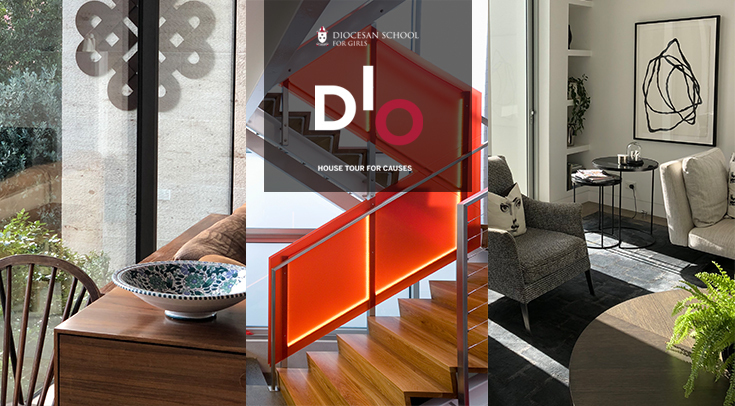 Always a popular event on the school calendar, a collection of homeowners from the wider Dio community open their properties showcasing a compelling variety of modern architecture, plush interiors, historic homes and manicured gardens. The Dio House Tour for Causes on Friday 9 November raises money for school activities and for the homeowners' nominated charities such as Auckland City Mission and Alzheimers New Zealand. The tour will take viewers through properties in Herne Bay, Remuera, Parnell and Orakei. Whether it's a grand villa or a rooftop garden with views of Newmarket, the architecture will fascinate. From a Ponting Fitzgerald designed home with commanding views of Rangitoto, to a cliffside Herne Bay home with private beach access, there really is something for everyone to feast their eyes upon. New Zealand Sotheby's International Realty are the principal sponsor of the Dio House Tour for Causes for a third time having supported the event in 2013 and 2015.